Doctor Who has done 13 Christmas specials in the many years since it began in 1963, but this year, someone at the BBC finally realized that “Who” rhymes with “new” and decided that a New Year’s Day special might make more sense. Thanks to that brilliant revelation, Doctor Who will be skipping Christmas this year in favor of a “Who Year’s Day” celebration on January 1, with Jodie Whittaker’s Doctor showing up for a brand new special about a “terrifying evil” that is “stirring from across the centuries of Earth’s history.” That sounds like a relatively straightforward Doctor Who plot, but like with the Christmas specials, there will probably be some thoughtful, heartfelt stuff about what New Year’s Day means for the people of Earth. Meanwhile, BBC America isn’t forgetting about anyone who likes to organize their entire Christmas around watching Doctor Who. As noted in a press release, the network will be airing all of the previous 13 Christmas specials on December 24 and 25, followed by a marathon featuring all of the previous (modern) Doctors, running right up until the premiere of the new special on January 1. 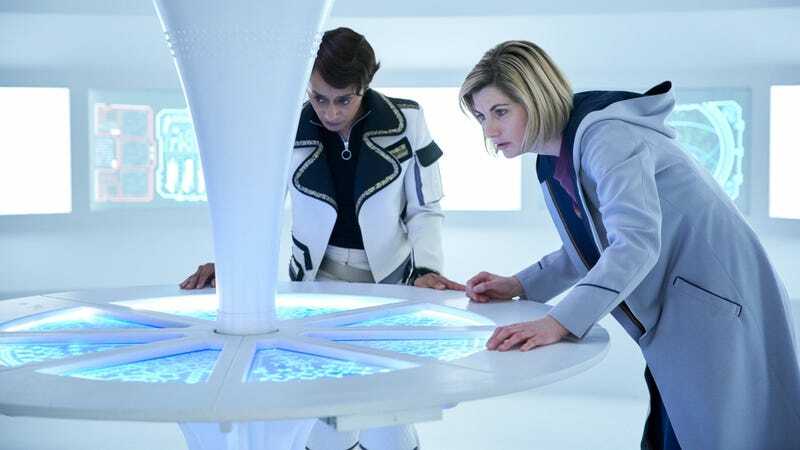 Basically, you won’t get a new episode of Doctor Who on Christmas day, but you’ll be able to spend a few days watching British people zip around in the TARDIS anyway. Also, just to save the BBC some work for the next time it wants to make a new Doctor Who special, here are some other words that rhyme with Who: zoo, dew, moo, crew, blue, shoe, woo, hoo, through, threw, clue, pew, whew, view, purview, barbecue, kung fu. We’re not sure how to fit most of those into the title of a Doctor Who special, but that’s not our problem.